Hello all! Just wanted to drop a quick line and tell you all about the eye cover I just had the chance to review. A dear friend and I recently took a road trip that was a 10 hour drive. We had an awesome time but with my narcolepsy, I had to take a nap or two on the drive. Don’t get me wrong, with narcolepsy you will sleep anywhere, however it’s nice to have some comfort when you do so. I always take my road neck thing that another dear friend bought for me, but man I wish I’d had this for the drive! Made of 100% silk, the Fitglam Natural Silk Sleep Mask is seriously soft, you’ll want to rub it across your skin just to feel it longer! It has an adjustable clip on the back that doesn’t get caught in your hair but does make it easy to ensure your comfort. There was minimal light allowed in, as the only place it could creep in was around the lower part of the nose, and I have yet to find any kind of eye mask that was able to do that one. 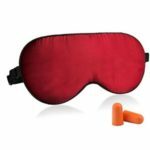 If you travel or just have issues with your spouse wanting to read when you are ready to sleep, you’ll love this mask. 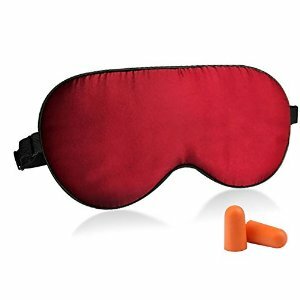 It enables you to sleep in peace whether the lights are on, the sun is shining, or what have you!